Facilitated by Rev. John McLean. This course explores the topics of Consciousness, Thoughts and Feelings, Denials, Affirmations and the Twelve Powers. Students will be encouraged to awaken your awareness and understanding of Spiritual Truth in order to employ it in your everyday life. 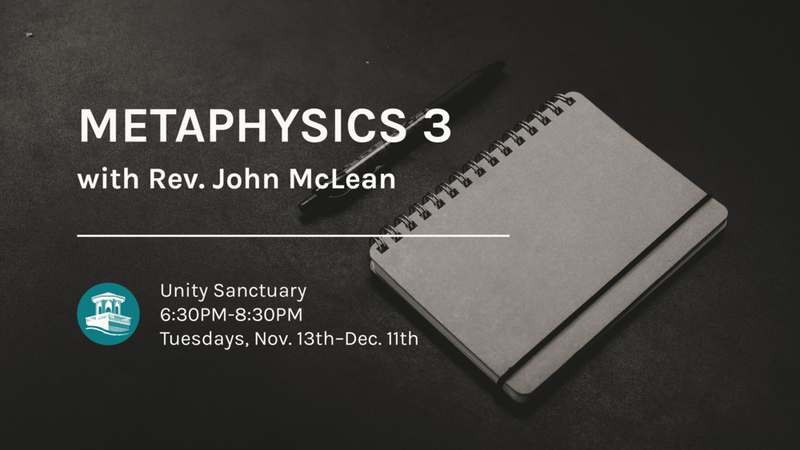 Tuesdays, Nov. 13th – Dec. 11th, 6:30 – 8:30pm, Sanctuary, Love Offering. Pick up the book and workbook, Heart Centered Metaphysics in the Bookstore. Sign up for the class on Facebook.